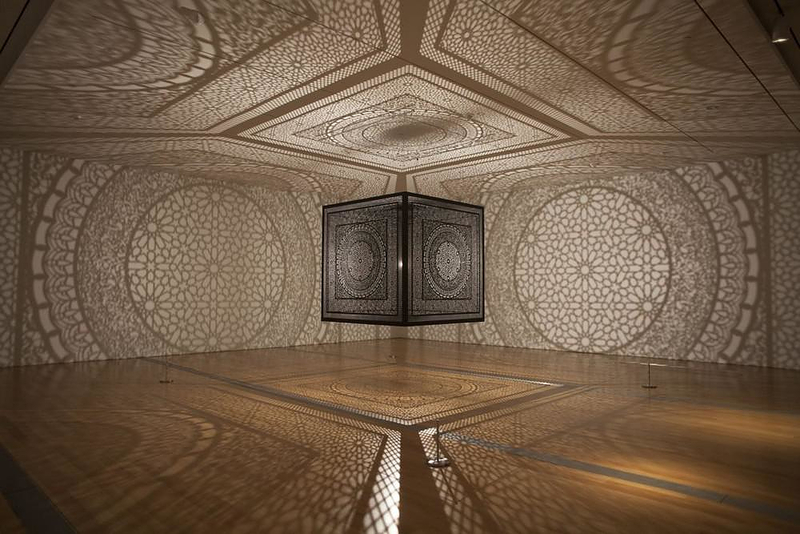 Intersections Art Installation by Anila Quayyum Agha. 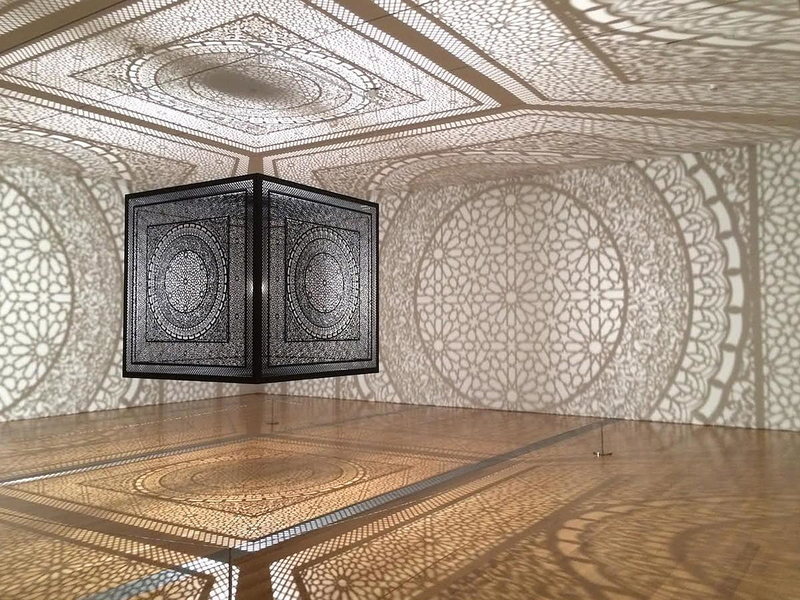 HomeBlogArtShadow Play: Intersections Art Installation by Anila Quayyum Agha. 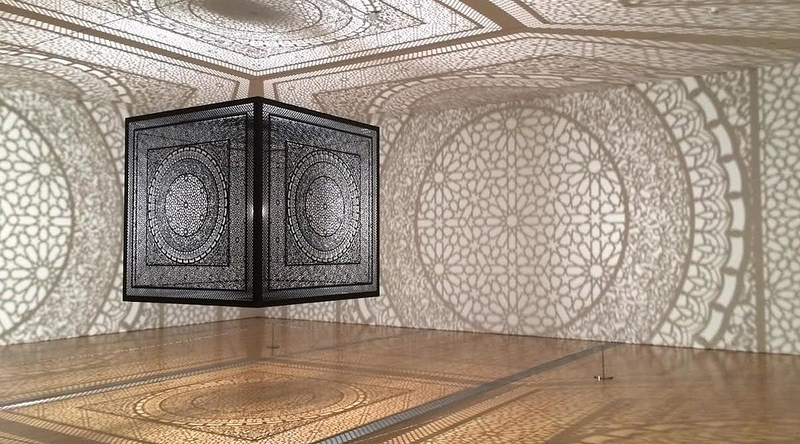 Intersections by Pakistani artist Anila Quayyum Agha is a mesmerizing art installation, a laser-cut wooden cube that casts amazing shadow art in the room that holds it. 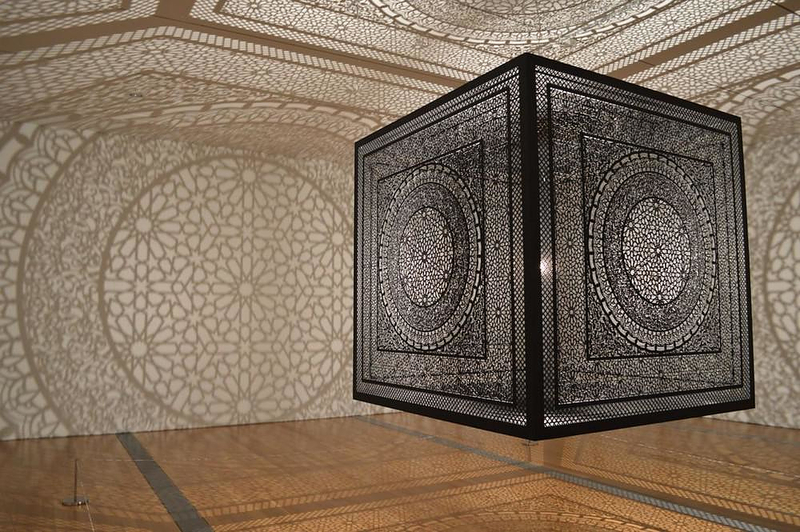 Artist Anila Quayyum Agha is a Pakistani artist whose work is cross-disciplinary, investigating a range of pivotal issues of the international art world. Agha mainly works on the common artistic doublet of time and space. 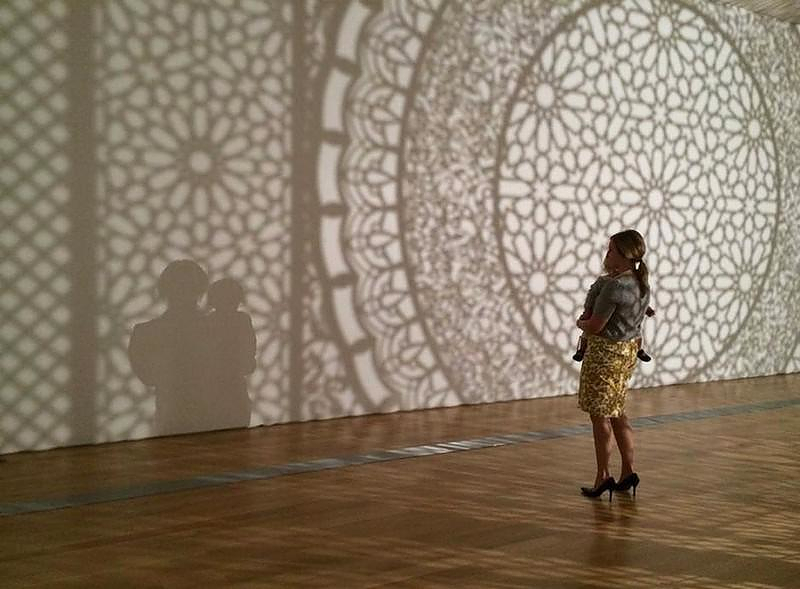 However, what she seeks to reflect through her art are contemporary issues of extreme importance related to the global political scene, the issue of cultural plurality, the impact of mass media in life, as well as a number of issues related to social identities, including gender and ethnicity. 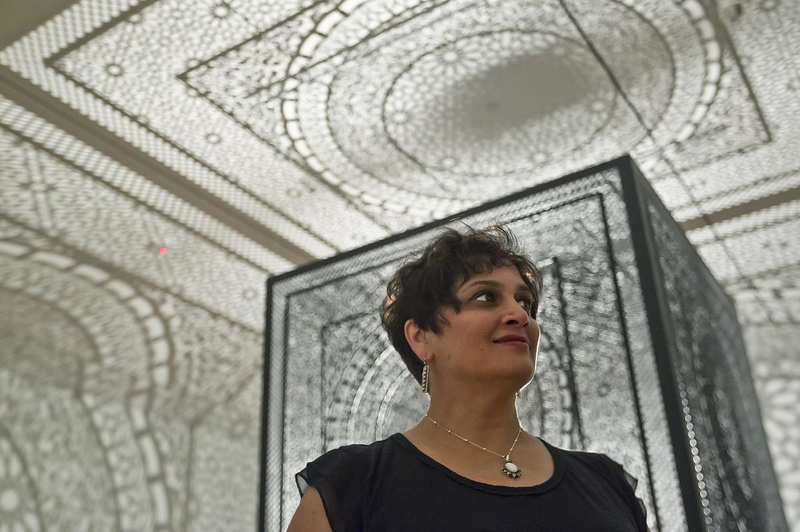 To achieve her artistic scope, Anila Quayyum Agha uses a range of artistic media and materials from fashion, to wooden structures and light. 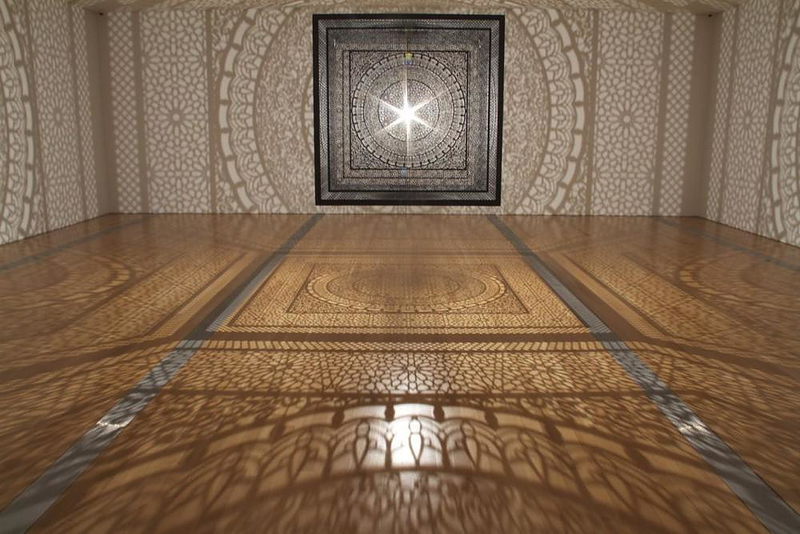 In 2013, through her “Intersections” project, the artist is trying to reflect her interdisciplinary, cross-cultural concerns. The artwork developed for this project, is a large scale wooden structure with geometric patterned surfaces influenced by the Islamic sacred spaces. 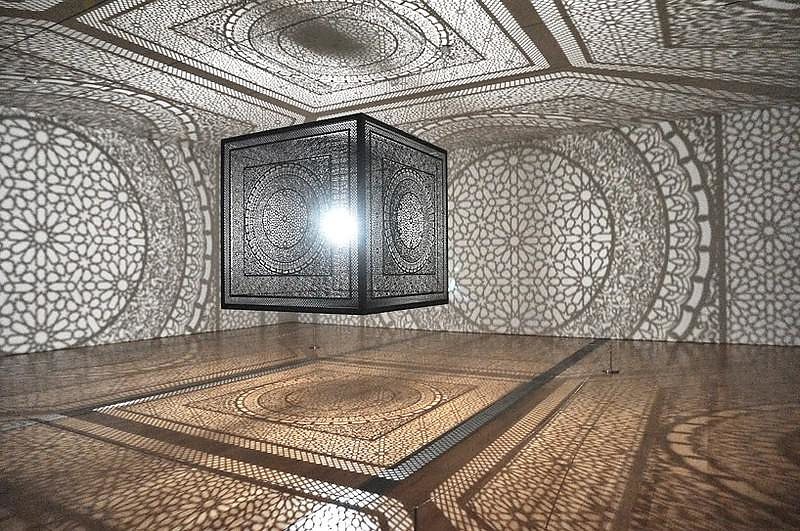 In the center of this hollow cubic installation there is also electric lighting. 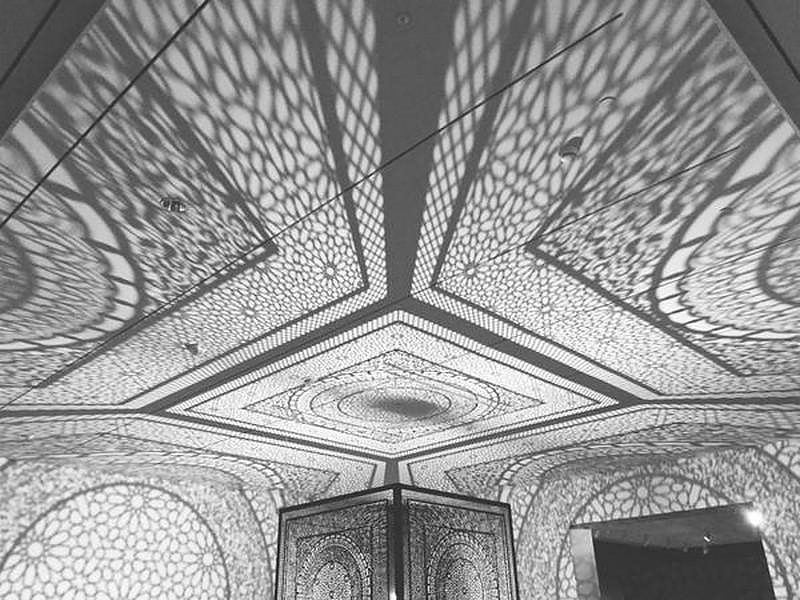 When exhibited, the massive artwork is hanging from the venue’s ceiling creating shadows and light forms on the walls, the ceiling and the floor. 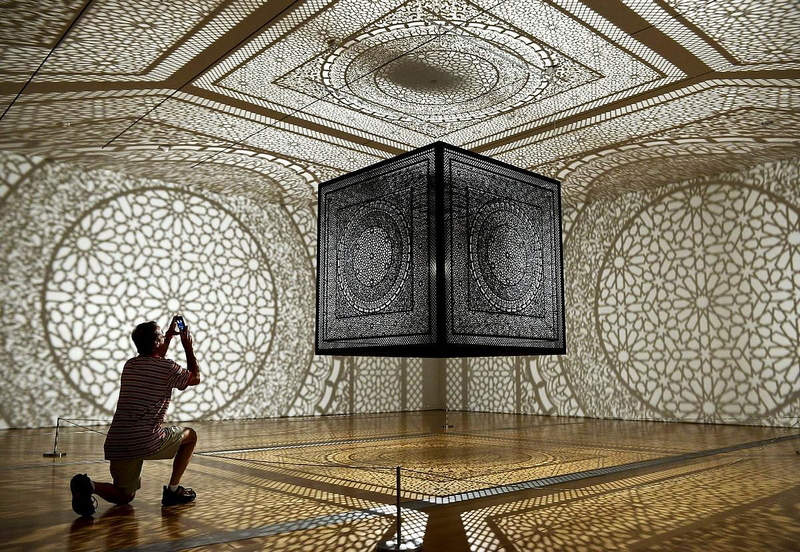 Intersections is a unique artwork, which evokes regarding religion, culture and the arts. 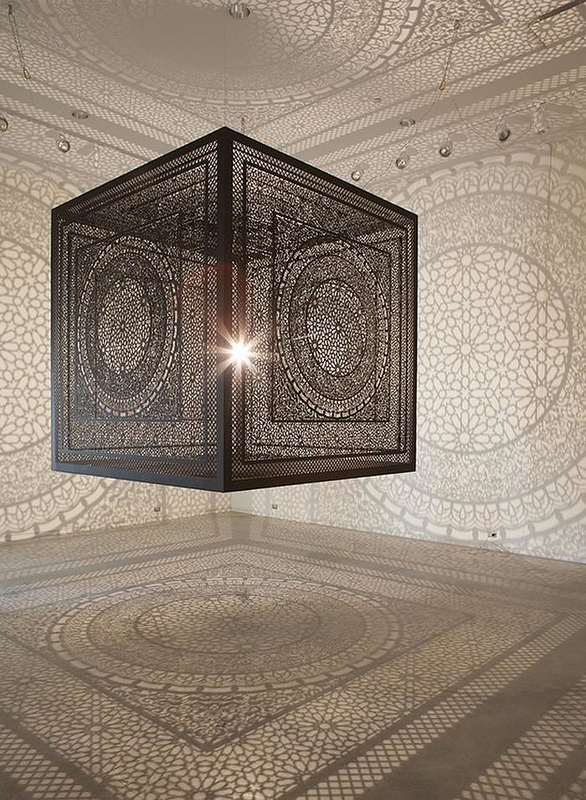 Anila Quayyum Agha is interpreting her perception of space in her own way following her personal experiences. 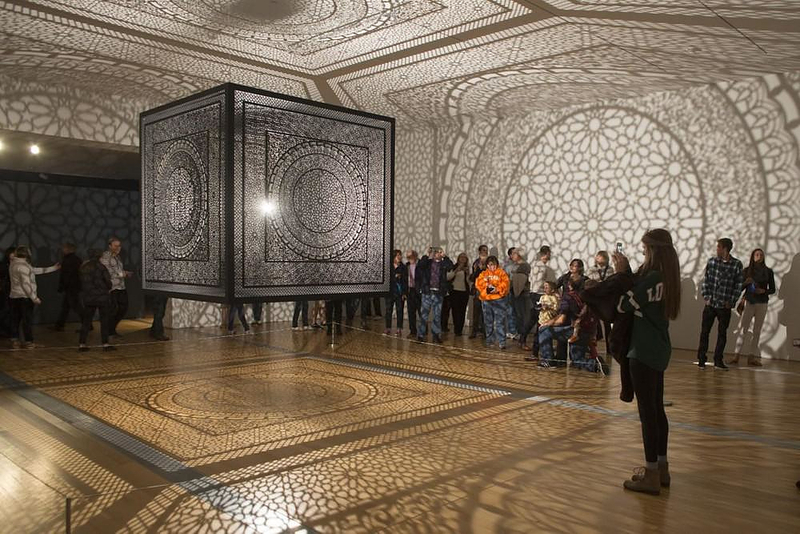 One could say that she is trying to enrich the problematic of space by charging it with elements deriving from her own culture and religion. Additionally, the title of this project reflects its substantial concept. 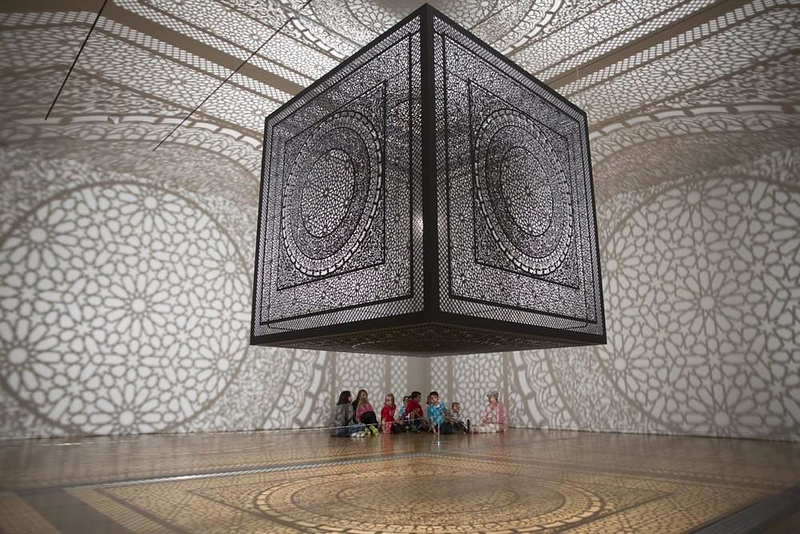 It refers to the intersection between the Islamic and the Western culture. 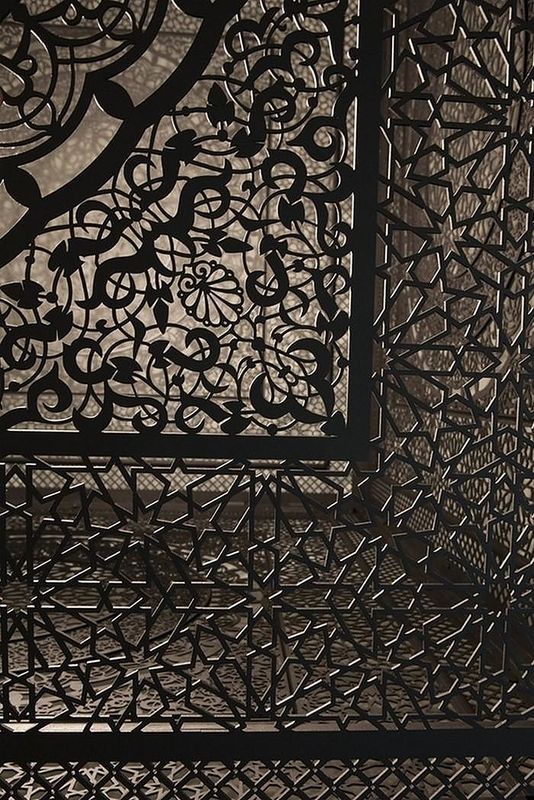 This can be identified from the pattern of the wooden frieze which imitates a pattern of Alhambra [Palace and fortress renovated in the mid 11th century by the Moorish emir Mohammed ben Al-Ahmar of the Emirate of Granada, Spain]. 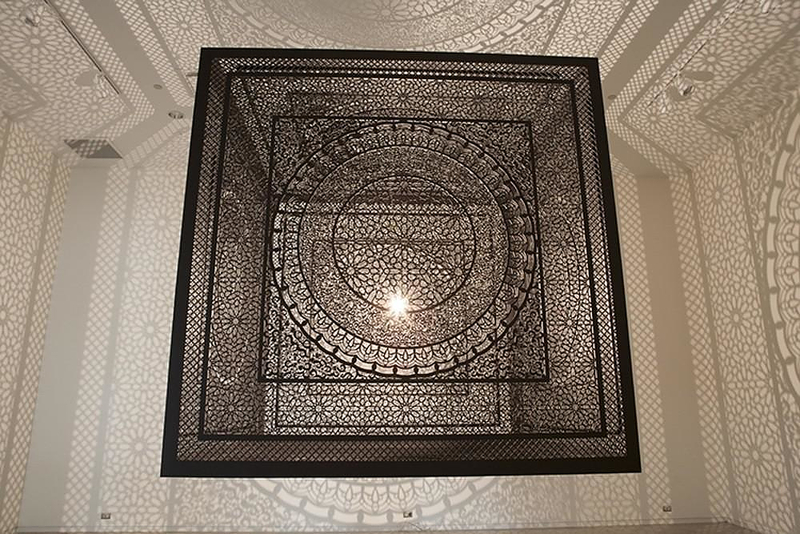 Under the notion of this harmonious meeting between two different cultures, the artist is constantly trying to explore the boundaries between private and public space or between light and shadow. Doublets which although are seemingly controversial, they always meet at some point. Another great antithesis reflected in her work lies to the notion of exclusion from a particular community, again influenced by her personal life experiences as a woman growing in Pakistan, excluded from the Mosque. Interpretation is always a focal element when “consuming” a work of art. 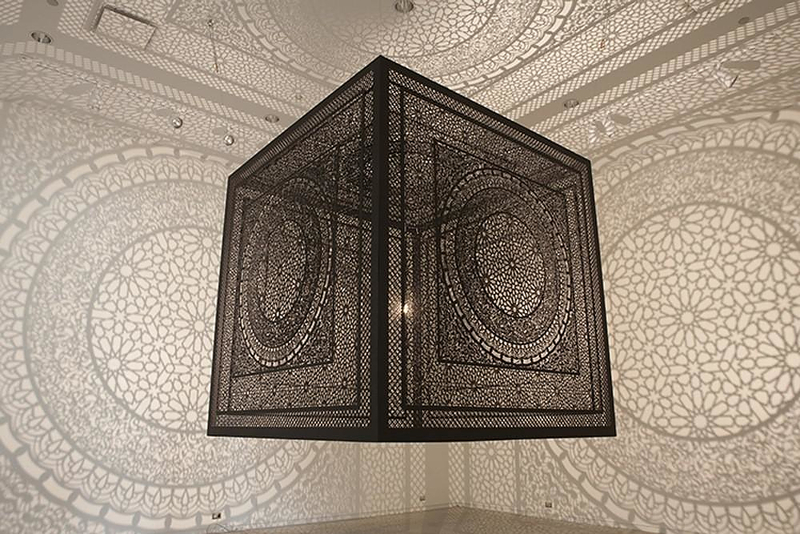 Anila Quayyum Agha seems to be open to multiple and different interpretations regarding her work. Not only does she seem ready to accept and consider any interpretation for her work, but she also moves one-step forward, by creating some of her own. Luminescence Light Installations by Hans Kotter. Ganzfeld - A Light and Space Exhibiton by James Turrell.